If you’re a Receipt Mail-In member, do you ever wish you could track the envelopes full of receipts that you send to us? Have your receipts arrived at our headquarters yet? Have they been processed? Are they on their way back home? Well, we’ve been working hard to bring you this feature, and have put it online. Not everyone’s information will show up right away, but that information will go online in the next few days. Yours may be up now though, so make sure you check it out. Just log into your account, and click Mail-In Dashboard from the side navigation bar. 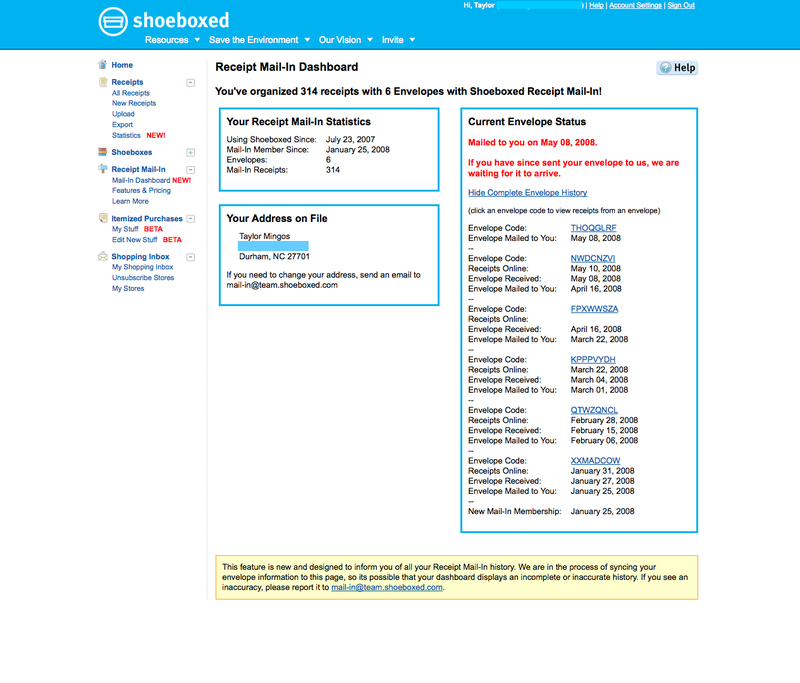 Hopefully this will give everyone a little more piece of mind and will allow you to have more accurate information about your Shoeboxed Receipt Mail-In envelopes. We hope you enjoy this tool, and, as always, let us know what you think of it. We really do value your feedback. As always, we’re happy to talk with you on the phone if you call us at (888) 369-4269. 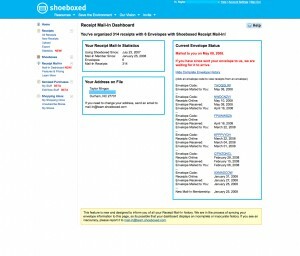 You can also send us an email at help@team.shoeboxed.com. If you are not a Receipt Mail-In member, but want to be, check out our different plans here.